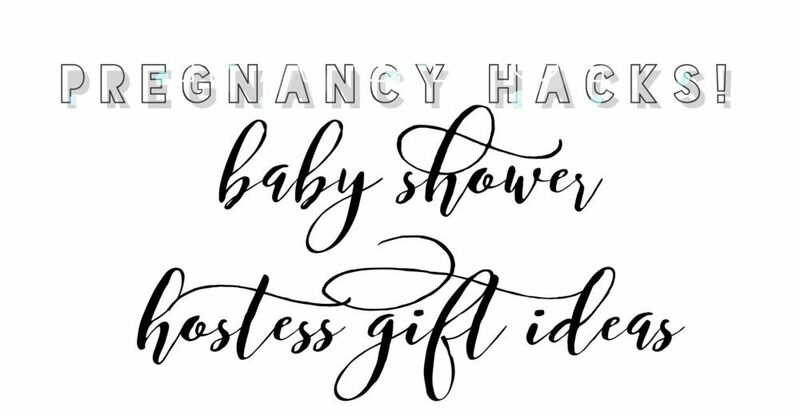 So I started consolidating some “pregnancy hacks” that have helped me during my pregnancy and thought I should share! I got the idea while scrolling through Pinterest for baby shower hostess gift ideas. Baby showers are so great and the amazing people that offer to plan and host deserve some love and appreciation. The hardest part is that getting a gift for all of the amazing hostesses can be pricey. So this is where Pinterest comes in handy, but some of what I found was still pretty expensive and time intensive. Here are two ideas I found for my lovely hostesses that I felt were pretty easy yet still personal. Cade’s first baby shower was hosted by some of my best girlfriends each from a different area of my life. In total we had 5 girls who came together, which is great because I hate for one or two people to carry the burden as throwing a shower can get expensive. As I started my Pinterest search, I was overwhelmed but thankfully one of my friends helped me find this amazing idea! One thing me and my girlfriends have in common is our love of Starbucks! So my friend Corey sent me this link to Justaddconfetti.com and I totally ran with this idea. 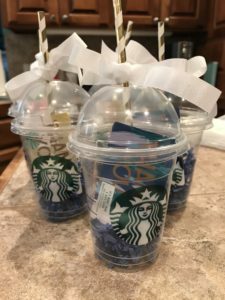 Starbucks was so great to give me a tall frappe cup along with each of the $5 gift cards, all I had to do was add some crinkle paper, a fun straw and a bow. The hostesses loved the gift and were asking why we hadn’t thought of this before! My next baby shower was hosted by my family! I loved seeing my family and my husbands family come together and in total 8 people helped plan the perfect brunch baby shower. I really didn’t want to do the same hostess gift as before, don’t judge me but I wanted to change it up a bit. This time I wanted to support a local business I recently found at an expo, Candles and Cream Collection. I absolutely fell in love with Vickie’s candles, her passion for making them and sharing her craft with others. She makes all her own scents and candles from her home in Hot Springs, AR. 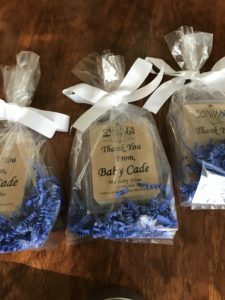 Her soy wax melts were a no brainer at only $5 each! When she found out I was doing these as hostesses gifts she offered to customize the labels! This right here is why I love supporting local businesses. At first I was afraid there was no way they would be delivered in time as I was shopping on Monday and the shower was on Saturday, but she got them shipped to me so quickly. With the left over crinkle paper and ribbon I tied them up in a bow inside a clear plastic bag. I loved how they turned out, they smelt amazing and everyone loved the personal touch! How to best store and enjoy your pictures?